The cycle market is at a low point in the UK as it seems as though almost weekly another story emerges of an independent bike store closing. Even some of the major players have closed branches this year and let’s not even get started on the Evans saga. However, against this backdrop of doom and gloom, there are people pushing back. Matt Mears started Temple Cycles in 2014 after graduating from university and not wanting to follow a conventional graduate career path. 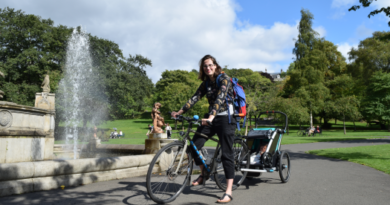 Based in his hometown of Bristol, Mears initially began with direct retail via the web before opening a workshop where the Temple Cycle range of bikes are assembled and that still doubles as a retail outlet. That first bricks and mortar venture was followed by a standalone store in central Bristol, which opened in October 2017. 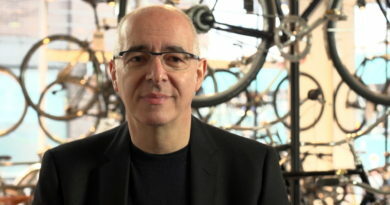 This decision to open a London store was not simply based on potential sales to internet-wary customers, Mears already had experience of retailing in London. Since starting the brand he has made use of temporary pop-up stores in the capital. Open for no more than two weeks at a time, he has retailed from five different locations around the city. “During that time we were always looking out for potential spaces to make it a permanent thing. When the opportunity to take this place came along we decided it was the right time to do it,” he says of the establishment of the store on East London’s hip and trendy Brick Lane. 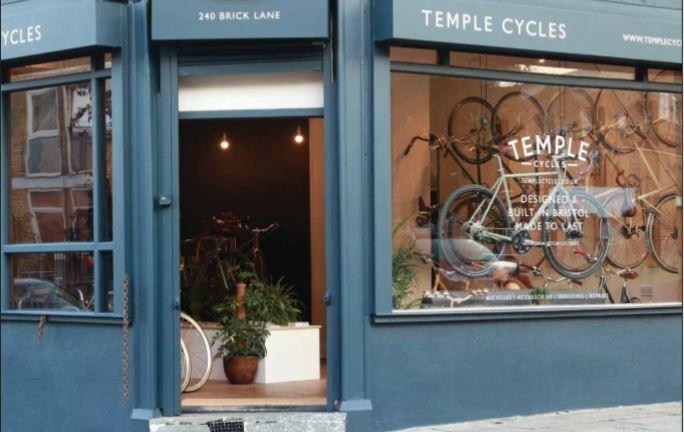 With new customers discovering the brand and a new store for them to experience the bikes in rather than simply seeing them on-screen, the future looks bright for the youthful team behind Temple Cycles.